CUT 175$! THEY DIED WITH THEIR BOOTS ON 1941 WINDOW CARD POSTER – ERROL FLYNN!! THEY DIED WITH THEIR BOOTS ON – ORIGINAL 1941 WINDOW CARD POSTER – ERROL FLYNN!! 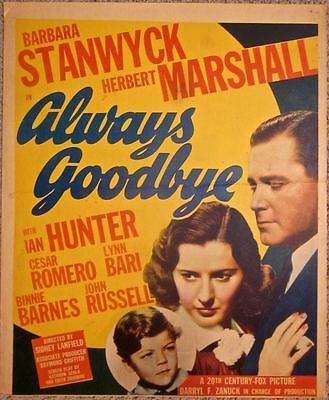 ALWAYS GOODBYE - ORIGINAL 1938 WINDOW CARD POSTER - BARBARA STANWYCK ARTWORK!! 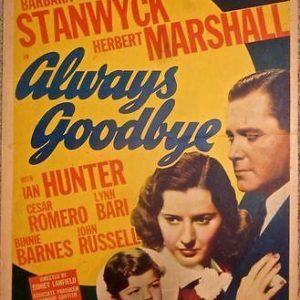 ALWAYS GOODBYE – ORIGINAL 1938 WINDOW CARD POSTER – BARBARA STANWYCK ARTWORK!! BLAZE O GLORY - ORIGINAL 1929 WINDOW CARD POSTER - RARE 100% TALKING SINGING!! BLAZE O GLORY – ORIGINAL 1929 WINDOW CARD POSTER – RARE 100% TALKING SINGING!! 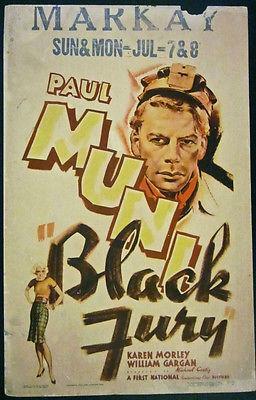 BLACK FURY - ORIGINAL 1935 WINDOW CARD POSTER - PAUL MUNI OSCAR NOMINATED ROLE!! BLACK FURY – ORIGINAL 1935 WINDOW CARD POSTER – PAUL MUNI OSCAR NOMINATED ROLE!! CLEOPATRA - VINTAGE R52 WINDOW CARD POSTER - CECIL B. DEMILLE EGYPTIAN EPIC!! CLEOPATRA – VINTAGE R52 WINDOW CARD POSTER – CECIL B. DEMILLE EGYPTIAN EPIC!! CASANOVA BROWN - ORIGINAL 1944 WINDOW CARD POSTER - AMAZING GARY COOPER ARTWORK! CASANOVA BROWN – ORIGINAL 1944 WINDOW CARD POSTER – AMAZING GARY COOPER ARTWORK!